It’s hard to believe it, but the Christmas season will soon be upon us. Once we move past Thanksgiving weekend, stores will bring out their holiday displays, and we’ll be in full-blown Christmas mode for the next month. While some find this exhausting, and it definitely can be, it’s also a good thing on Cape Cod because there are Christmas strolls almost every weekend between now and the big day. These strolls leave you plenty of opportunities to not only support local businesses while doing your holiday shopping but also take part in some of the festivities. These strolls seem to grow every year and are found all over the Cape, so have a look at what is scheduled in 2018 and figure out where you want to do your Christmas shopping this holiday season. 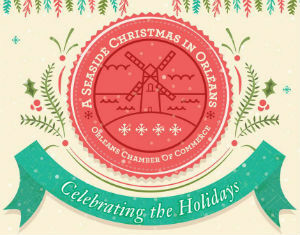 The Christmas stroll season kicks off on Saturday, November 24 in Orleans with the Orleans Christmas Shopping Stroll. This unique event includes access to an old-fashioned trolley, so you can find a parking spot anywhere near downtown and use the trolley to get around all day. The stroll runs from noon until 4:00 PM and then at 5:00 PM, the candlelight stroll to Village Green begins. Participants will make the walk through the town's center before lighting the holiday tree, along with the giant snowflakes. Christmas carols follow the tree lighting, as well. Main Street in Hyannis Village is home to a holiday stroll that begins at 11:00 AM on December 1 and runs until 4:00 PM. This event is an excellent opportunity to get your Christmas shopping done early in the month, and it provides fun for the entire family thanks to the kid's crafts and activities, including an appearance by Santa Claus at noon. After the stroll, head down to the harbor to see the illuminated boat parade, which is always a hit with the young ones. 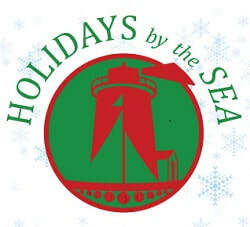 On Sunday, December 2, Yarmouth Port hosts a holiday stroll along Route 6A. The participating businesses in the area will have a selection of treats available for shoppers, and there are also events like trolley rides, face painting, magic shows, a juggler, and photo opportunities with Santa. Of course, restaurants throughout the area will be open, and there will even be performances by a brass band. It all runs from 1:00 – 4:00 PM and everything is free. Sunday, December 2 is also when the Marstons Mills Christmas Stroll takes place between the hours of 3:00 and 5:00 PM. The highlight of this event is its free giveaways, as many shops throughout the village center will have goodies available, and there are free hot dogs at Liberty Hall. After you've done your shopping, stop at the Community Church for some popcorn and hot chocolate or visit Santa at the library. You can then finish off your evening with the Christmas tree lighting and some caroling, or check out the live nativity scene. If you struggle to find time to get to Christmas strolls on the weekend, there’s an alternative on Wednesday, December 5 along Route 6A in Barnstable Village. The stroll takes place from 6:00 until 8:00 PM and includes cider, eggnog, and delicious holiday treats. You’ll also see carolers in old-fashioned clothing, and other live entertainment. One of the oldest Christmas strolls on Cape Cod takes place in Osterville on Friday, December 7 between 6:30 and 8:00 PM. This year's event will be its 49th installment and will include horse-drawn carriage rides, a trolley, Christmas carolers, live music, and, of course, a visit from Santa Claus himself. Chatham hosts a multi-day stroll from December 7-9 with different events taking place each day. Friday, December 7 is the day of the traditional stroll, as local shops along Main Street will be open late, and many will have free cookies for visitors to sample. There's also a tree-lighting ceremony, horse and carriage rides, Christmas carolers, and a Santa Claus appearance at Kate Gould Park that night. Santa will also be accepting letters at the Chatham Chamber of Commerce on December 8. Yarmouth has a second stroll on Saturday, December 8, but this one involves cookies. The Yarmouth Holiday Cookie Stroll runs between 10:00 AM and 3:00 PM in the Bass River neighborhood. This stroll is a charity event with funds supporting the South Yarmouth Library and costs $20 per person. The idea is that ticket-holders go on a walking tour of the neighborhood and receive a cookie from each participating home and business. At the end of the stroll, you can sample cranberry bread and hot cider at the library's open house event. Falmouth is known for its holiday events and on Saturday, December 8 between 5:00 and 8:00 PM, you'll have the chance to experience it first hand through the Falmouth Village Association Holiday Stroll, which is part of the Holidays by the Sea festival. Main Street will be closed to traffic during this time, so you can enjoy live music, a petting zoo, face painting, and a marching band without worrying about traffic. Shops and restaurants will be open throughout the evening, making this a wonderful place to spend your Saturday night. Dennis gets into the holiday spirit on Sunday, December 9 with the Dennis Christmas Stroll. This event runs from noon until 4:00 PM and features hay and trolley rides, live music, a silent auction, a Christmas tree lighting, and face painting. There will be an appearance by Santa and Mrs. Claus, and you can make food and toy donations on-site to those in need, as well. And, of course, you'll want to shop at the businesses right along Route 6A through the heart of Dennis Village. Finally, on Saturday, December 15, the West Dennis Holiday Stroll takes place on Main Street between 11:00 AM and 4:00 PM. Most retailers in the area are involved in 2018, which will mark its 5th year, and you can catch the trolley to visit all of the participating locations along Route 28. Events include crafts, face painting, live music, and raffles, so if you miss some of the earlier strolls, it's nice to know you have an option closer to Christmas. As you can see, Christmas strolls are a big deal on Cape Cod, and you’ll have every chance to experience at least one in 2018. As an added bonus, you’ll be able to support local businesses by spending money on the Cape and taking part in one of these magical holiday events. If you have kids, the festivities usually include encounters with Santa, much like you’d see in a major mall, except for you’ll be out in the community taking part in one of the many traditions that makes Cape Cod such a special place.